The Middle East is just as hungry for good food as the rest of the world, perhaps even more so, as is exemplified by the number of international food chains that have invaded the region in recent years. Recently named by Forbes Magazine as one of the 100 best companies to work for, the Cheesecake Factory is by far one of the largest upmarket casual dining restaurants the US has ever successfully exported. The Middle East was the focus of their international expansion just two years ago in 2012, with three successful restaurants opening in Abu Dhabi and Kuwait. 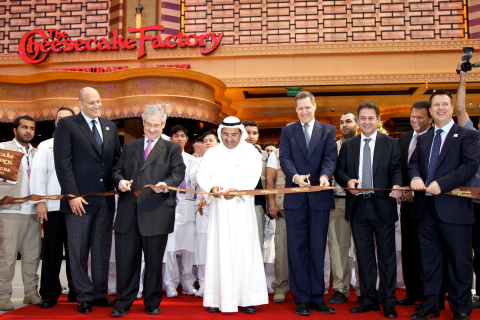 However, business has been good and by 2016, the Cheesecake Factory hopes to have expanded further into the region and there are plans for new restaurants in Bahrain, Qatar and Saudi Arabia. This is a restaurant chain that everyone should be familiar with, though what you may not be aware of is that in 2012 Red Lobster revamped itself, expanded its menu and is now more popular than ever. 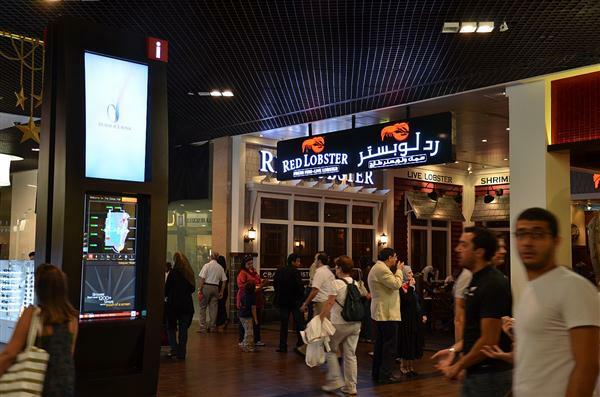 Red Lobster currently has locations in Qatar and the United Arab Emirates and there are reportedly plans to expand further into the region with their trademark cheddar biscuits. LongHorn Steakhouse – Yee ha! 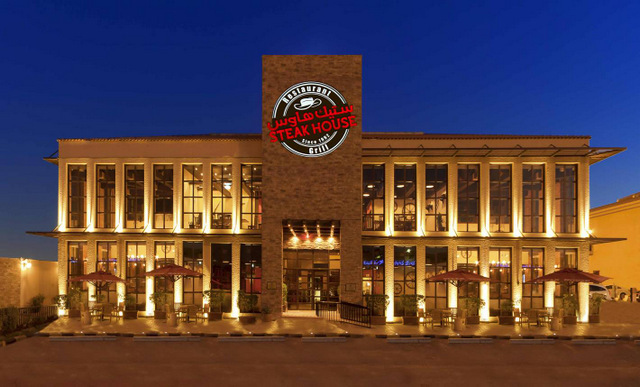 LongHorn Steakhouse has over thirty years operating experience (founded in 1981) and is one of many restaurants with a Texan/Western theme that have proven extremely popular in the Middle East. Specialising in grilled chicken, salad, seafood and steak, and with over 350 restaurants in 35 US states, it’s easy to understand why LongHorn Steakhouse has proven as popular as it has in the region, and why plans for a further expansion are under way. 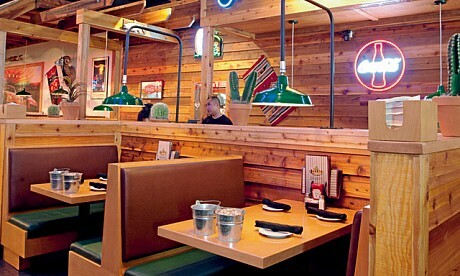 Another restaurant chain with a Texan theme, Texas Roadhouse has proven extremely popular in Saudi Arabia, Kuwait and the United Arab Emirates despite its name, after all, with the political climate and the way Americans and American products are often seen in the region it’s somewhat surprising that Texas Roadhouse and LongHorn Steakhouse are as popular as they are in the Middle East. However, they have proven very popular and Texas Roadhouse even has several other chains in Saudi Arabia, Kuwait and the United Arab Emirates, all of which contribute to its healthy coffers. These restaurants are pulling in $4.09 million annually each. Founded 15 years ago by Dave W. Anderson, Famous Dave’s now has 133 branches across the United States and one over the border in Canada. But like many mid-level food chains, Famous Dave’s isn’t looking to stay within North American markets and has also set its sights on an invasion of the Middle East with plans to open thirty stores across the region starting with its two restaurants in Dubai. 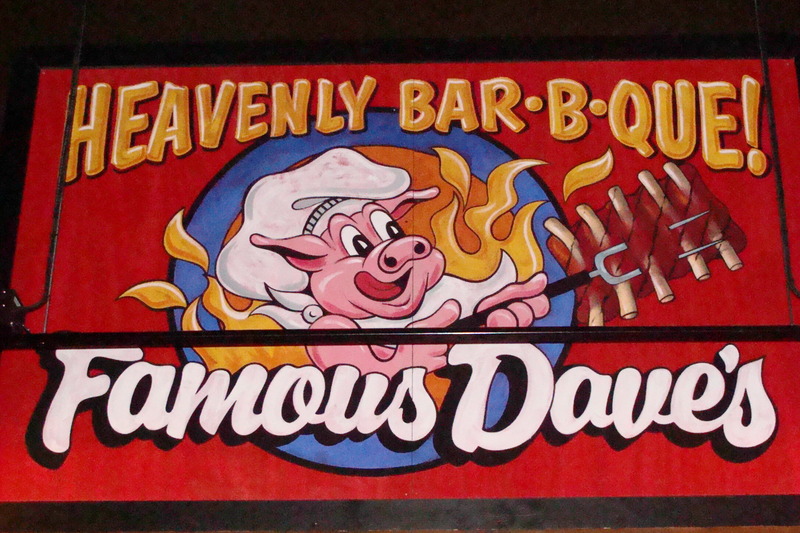 However, like many food chains that have set their sights upon establishing a presence in the region, Famous Dave’s has also had to make some changes, in this case to their image and the company’s logo of a pig roasting ribs over a fire. “When we go into these new areas, we want to meet local needs, so we’re obviously not going to sell things to people that don’t want them,” said Mr. Larrabee, Famous Dave’s director for franchise development. The Middle East has just as much of a taste for international food chains as the rest of the world, and therefore popular international pizza companies like PizzaHut ME, fried chicken chains (many of which are also American) and all the big names in fast food including the brand with the golden arches.